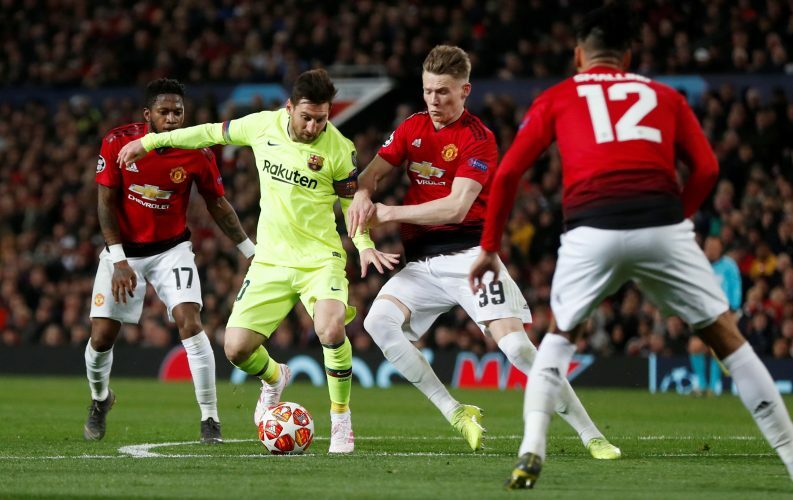 In a game wherein the midfield was adorned by world-class names like Sergio Busquets, Ivan Rakitic, Arturo Vidal, and Paul Pogba, who could have expected Scott McTominay to dominate the proceedings? But the 22-year-old did just that, putting up a man of the match performance in the first leg of the quarter-final, which Barcelona won 1-0 thanks to a Luke Shaw own goal. The Scottish starlet contributed heavily in defence as well as on the attack, earning plaudits from fans and pundits alike. Manager Ole Gunnar Solskjaer was also full of praise for praise for Manchester United‘s youth academy graduate, rating the midfielder’s performance during his post-match press conference. McTominay himself had some constructive criticism to offer regarding his team’s shift on the night, as he stated: “In the first 10 minutes we showed them far too much respect but after that we adapted really well and looked the better side. “It was an entertaining night to watch on the TV. Barcelona are top class, it’s difficult to get the ball. It’s not as easy as going out to press like mayhem.